This garden offers a study of the relationship between man and the natural world. The clean, geometric layout combines with neatly clipped planting to highlight the human need to organise and bring order to the natural world. In contrast, areas of naturalistic planting represent the uncontrolled growth that takes place when nature is left untamed. The design creates harmony and rhythm through the use of these two very different styles of planting. The RHS Judges praised our execution of what in essence was a very simple design, but in practice very difficult to pull off. The planting they thought beautiful. Victorian terrace garden in West London. 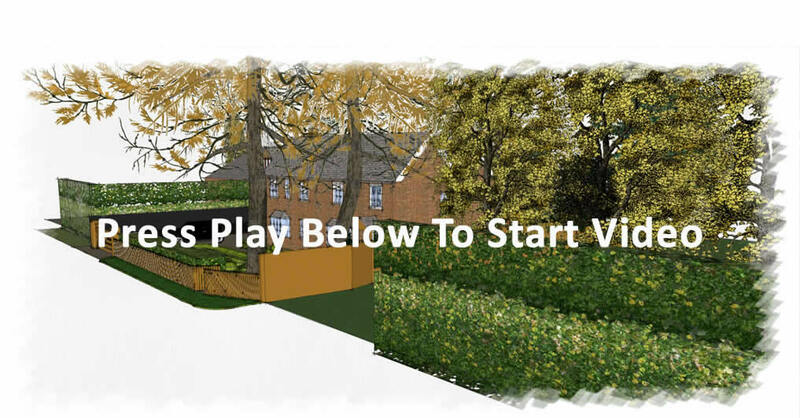 To create an interesting and stylish garden extension to the house, with simple planting which would give year round interest with minimum maintenance required. To screen off the courtyard from the house opposite and incorporate a dramatic water feature into the small space. The courtyard already had brick boundaries to the sides, but only a wooden fence at the rear. We introduced a bespoke trellis fence to the back boundary and continued the trellis along the eastern border to create a visual link, which also dealt with the differences in wall heights. The overlooking issue was remedied by building raised beds which were then planted with pleached trees to obscure the views into the courtyard from behind. We broke up the expanses of brick and trellis by treating them as an ‘art space’ with the introduction of textured panels and a lightbox to mimic canvases. From one of the canvases a small water cascade flows into a pool. The water continued under an Elefant grating path, across the length and then width of the garden to link the two sides together. The lightbox became a vertical continuation of the path. To give the garden greater visual impact in the evening, the water and trees were subtly lit from underneath. The planting was evergreen, or chosen for having year-round interest and low maintenance requirements. The paved area was large enough to take either a corner sofa and coffee table, or a generous dining table. A long, thin stretch of ground all to the front of the house. The site is liable to flood. To create a beautiful outside space in which to live, eat, work and entertain, to complement an ultra-contemporary house. The length of the garden was disguised by creating separate areas, each with their own personality, which were linked by planting and hard landscaping. We screened off the garden from the road with the introduction of a feature wall, which also denoted the private and public garden. In times of flood, the areas closest to the house remained under water for the longest periods, so in order to be able to grow a more diverse range of plants we introduced raised beds which could double up as extra seating when needed. This extra planting height allowed us to screen off the dining area from the neighbouring house with the addition of pleached trees. A young couple with two young boys. The front of an Edwardian house in a small village. This is the only outside space the family has and was dissected by a drive way. The garden is south facing and is overlooked by the house opposite. 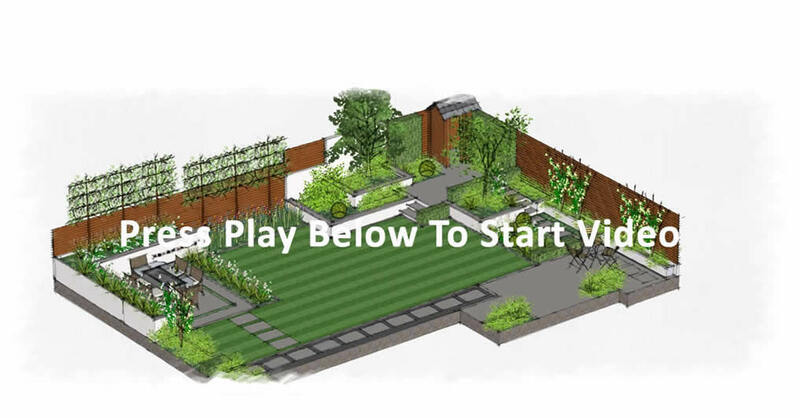 To create a safe, family garden where children could play on a large lawn, combined with classic English garden features such as clipped topiary, blousy flower borders and a herb garden by the kitchen door. Privacy from the house across the road was an important factor. The drive was moved to the side of the site freeing up the central area to create a safe garden for the children. An unsafe tree was removed, the lawn centrally placed, edged with flowerbeds and trimmed in box. Pleached hornbeam provide screening from the neighbours. Box Pyramids and Standards in the border provided vertical, evergreen accents as well a pleasing rhythm. The delicate, feminine planting softened the borders. Knot garden designed for castle garden undergoing restoration. Designed to blend references to the family crest and language of traditional gardens of this type. The design has taken the family crests as inspiration: the cinquefoil and the red rondel which became united when the two families were joined in marriage. The design of threads, rich in contrast of foliage textures and colour, inter-link closely to reflect the families close ties to the castle. A box-edged pool in the centre of the design brings movement and sound to the garden, the design for which was inspired by the ruined remains of the castle’s gothic windows. A 5m x 8m courtyard to a 1980’s terrace house in central Oxford. Provide a relaxing, contemporary setting for entertaining family and friends. Features to include a balcony for dining. The balcony was to be extended across the whole of the back wall to provide an external dining area. The boundaries were to be unified by using the same materials throughout. Horizontal trellis would create an illusion of length, whilst allowing light to filter through. 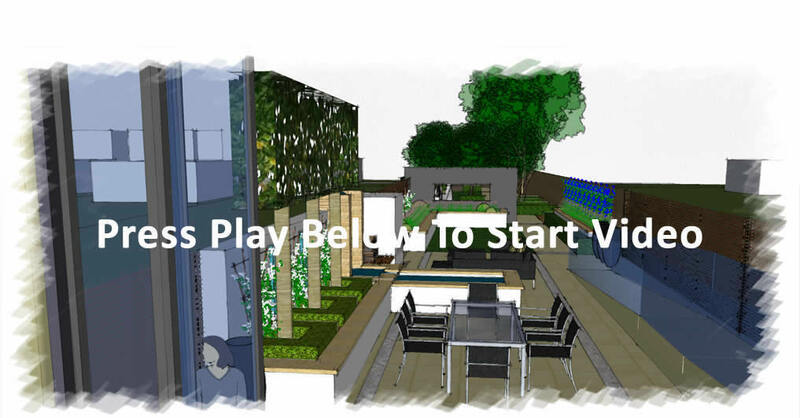 Raised beds planted up with low maintenance evergreens add to the sense of enclosure and a small water feature connects the two sides of the courtyard and also helps to mask traffic noise. Professional couple with a young family. Small courtyard garden to a three storey town house in Cape Town, South Africa with existing plunge pool. Existing clients wanted to revamp the design of their Holiday home in Cape Town. 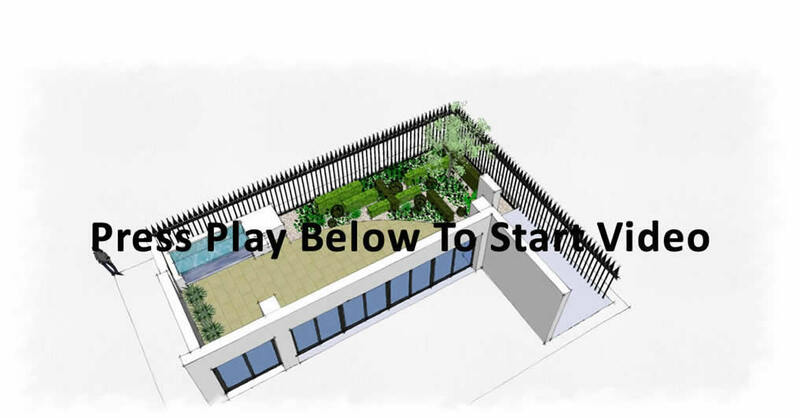 They wanted to create a low maintenance garden which would need to have an interesting top view as the town house had a terrace on each of the floors above. They wanted structure and evergreen planting. We created a series of interlocking, evergreen rectangles and spheres which would give all year interest. The tree gave height to the design and echoed the planting in the landscape beyond. Ground cover plants would eventually knit together to create a carpet of green, speckled with brightly coloured flowers at various times of the year. Highly scented climbers were used to cover the town house's supporting pillars All the plants used were evergreen and suited to the Cape's climate. Though originally a courtyard, this design would work well in a front garden setting where a more formal layout is required. A very active, newly retired couple. A medium sized garden to a newly refurbished and extended period property in a small Oxfordshire village. To provide privacy between the client's and neighbouring properties, so that they could be in their garden without feeling they were being overlooked. 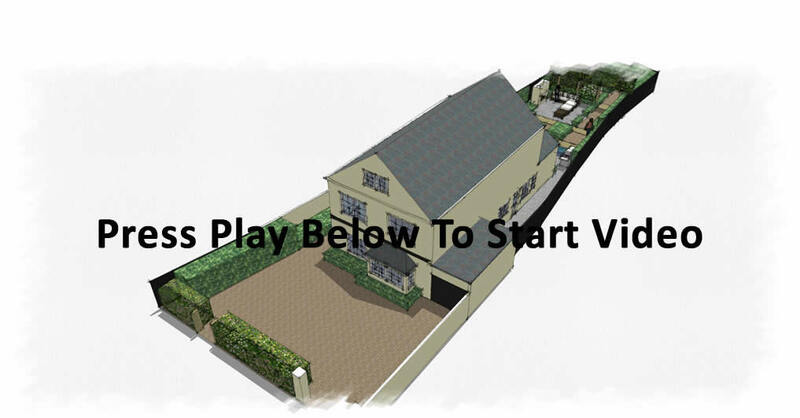 To create a small, 'secondary', private garden adjoining the detached garage, which would be split to provide parking to the front and guest accommodation to the rear of the building. They also wanted to have a sheltered seating area, where they could sit in all weathers. Planting was to have a romantic feel in the back garden with a sense of enclosure, and formal, structural planting to the front to complement a period cottage. We used pleached fruit trees set out in a semi-circle to give the sense of enclosure and privacy the clients wanted. We selected species which would allow light to filter through, whilst still protecting the client’s privacy. The trees also created a natural gateway through to their guest’s private terrace area. An undercover area by the garage was turned into the sheltered seating area they had requested. Clipped evergreen hedging was used to the front to create a formal parterre. Newly refurbished and extended modern house. South facing garden. To create an elegant and co-ordinated garden to tie in with the newly completed, modern exterior to the house, sleek hard-landscaping with classic, soft planting which would give colour, scent and structure to the garden at all times of the year and also provide a sense of privacy from the house opposite. An evening and also a breakfast terrace to take advantage of the position of the sun at different times of the day. Reduce the appearance of the two distinct ground levels as much as possible, but still keep a small portion of the retaining wall in the area around the existing Magnolia. Modern style slatted fencing, rendered raised beds and a lighting plan were also requested. The distinct levels were addressed by creating an upper terrace with steps leading from both the lawn and the new breakfast terrace. The question of privacy was answered by the creation of raised beds in both the upper terrace and the new dining areas which allowed us to plant at a higher level and therefore screen off the neighbour opposite. The use of pleached trees in those beds gave us greater privacy still. The raised beds in the dining area also doubled up as extra seating when entertaining. The slatted fencing, in western red cedar tied linked back to the WRC cladding used on the house. The raised beds were rendered to match the house. By selecting materials already used in the house for the hard-landscaping we created a harmonious link between house and garden. Discrete lighting highlighted the changes in levels and also up lit the feature trees in the design to extend the enjoyment of the garden into the winter months. An elegant, period villa, situated in a chic, coastal town in the Marche. Italy. The once grand villa has been left to decay over the years. Beneath nearly a century of untamed growth, the classically inspired garden to the front of the villa, can just still be glimpsed. Our clients are going to restore this impressive, historic villa and convert the accommodation into 7 individual apartments. The gardens to the front of the building are to be restored to their original design, whilst the back, which had been used as a car park, is to be completely redesigned to be respectful and sympathetic towards the heritage of the villa, but still bring a contemporary feel to the grounds. A pool and generous entertainment areas are to be incorporated into the design. A young male doctor, working shifts in the A & E Department of a large city hospital. To create a stylish outside space easily accessible from the house, with a spacious, comfortable seating area for entertaining and cooking. He wanted various focal points to be viewed from within. As the house was on a corner plot the garden was bordered on two sides by busy roads, so he wanted us to mask the sound of the traffic as much as possible with the use of a water feature and suitable planting. There was to be structural hedging, but the planting was to have a relaxed feel to it, with a woodland style garden to the bottom of the site and also an area to grow herbs and fruit, but not necessarily a dedicated vegetable garden. 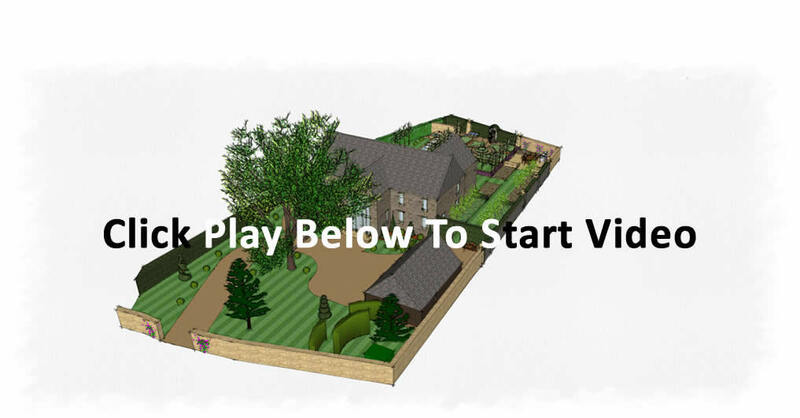 A keen gardener, the client wanted a garden he could take on himself and develop in stages. Various seating areas around the garden were requested to take advantage of being home at different times of the day. He especially wanted breakfast terraces to both the kitchen area and master bedroom so he could enjoy his garden as much as possible. Lastly, a central lawn was to be a key feature. The shape of the site lent itself to creating an oval central lawn, which was taken as the starting point from which the design then emanated. Water features, one bespoke, and the other off the shelf, were placed by each of the breakfast terraces to help filter traffic noise. The hard landscaping was confined to the areas directly closest to the house. A large decked terrace was placed directly outside the drawing room to disguise a small change in level as you came out into the garden. The oval motif was extended into the decked area by following the line of the evergreen hedges on one side of the lawn with a band of stainless steel which cut through the deck to link back to the hedging on the other side. The woodland feel was achieved by adding extra native hedge planting to the boundary and leaving areas of uncut grass which continued the oval theme from the flower beds to the boundaries. Spring bulbs would be planted into the long grasses for early interest. A professional couple with a young son. A newly built stone barn style house within a beautiful village on the edge of the Cotswolds, with views towards the local medieval church and open fields to the west, and to the east period properties built of local stone. The brief was to create a traditional English country house garden which would seamlessly combine both classic and modern elements within geometric forms. They wanted to incorporate as much topiary, structural planting and local stone into the elements of the garden as was possible. The design was to be implemented in stages over the years, as time and budgets allowed. We were asked to give interest to the drive way and to the front of the house, and also to close off the back garden from the front, and to screen off the oil tank from view whilst still allowing access. 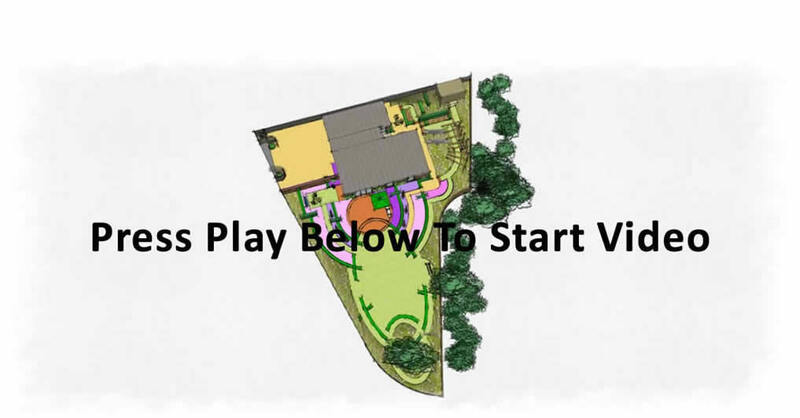 The clients wanted a series of garden rooms with connecting walkways or paths which would create interesting areas for their son to play in, as well as having his own designated play area. A water feature to be viewed from their kitchen, to be made from local stone, was to be a key factor in the design, as was a romantic folly. The clients wanted to engage fully with their new garden and were keen to have a potager with raised beds to grow their own produce. The back of the house was predominately in the shade and so a sunny seating area, with natural shade was requested. The planting, as mentioned before, was to be structural for year round interest. The cool planting palette was to be limited to greens, silvers, soft lavenders, blues, pinks, white and purples, and was to include as many roses as possible. A small lawn adjacent to the house was to remain. Starting from the road entrance, we fulfilled the client's love of topiary by punctuating the driveway with Box balls and created vertical interest with the use of Yew pyramids and spirals by the house. In front of these we placed an herbal knot garden to break up the expanse of lawn. We continued with the use of Yew by screening off the large oil tank with a curved, staggered hedge which allowed access, but hid the tank from view of the house. On the western side of the garden, Cotswold stone walls to the front and rear of the house secured the garden and created a small utility area within the enclosure. The solution on the eastern boundary was to use a tall Yew hedge with a gate. An original stone pillar found in the front garden, was duplicated around the boundaries, infilled with Yew hedging to link back to the front. The furthest part of the garden was in full sun for most of the day and received the last rays of the evening summer sun. Here was the perfect place to have the dining terrace and to re-create a ruin with the use of architectural salvage and the local stone. Pleached trees would give a little screening from the sun, but would still allow uninterrupted views to the church beyond. This area led to the potager, complete with a stone arched doorway, at present a prop, but this would eventually open up to the adjacent plot of land, to their 'secret garden'. Pleached trees along the eastern border would help to filter out the winds from across the fields, until the newly planted hedges were tall enough to create a wind break on their own. A large stone water feature was designed with a rill to reflect the ever changing sky. The sheltered north facing courtyard by the house was softened with the introduction of lushly planted pots to bring greenery and light to an otherwise dark area. 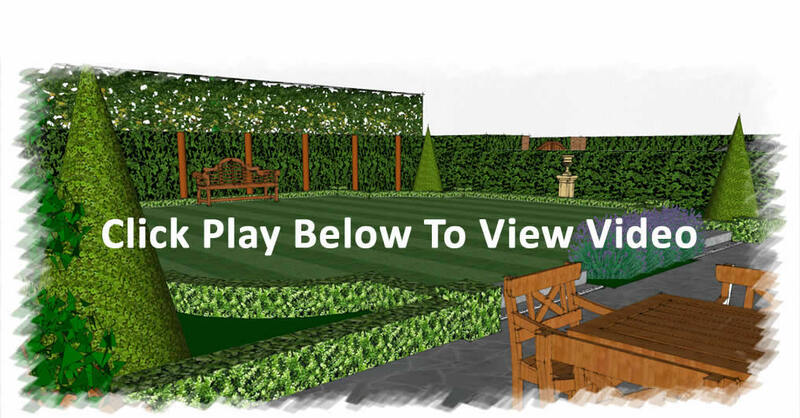 The clients wanted to be able to create the garden in stages; this design would allow just that. A professional couple with a teenage family. Facing North East, and on two levels, a long and narrow garden to a charming period property in a small village, near to Henley on Thames. 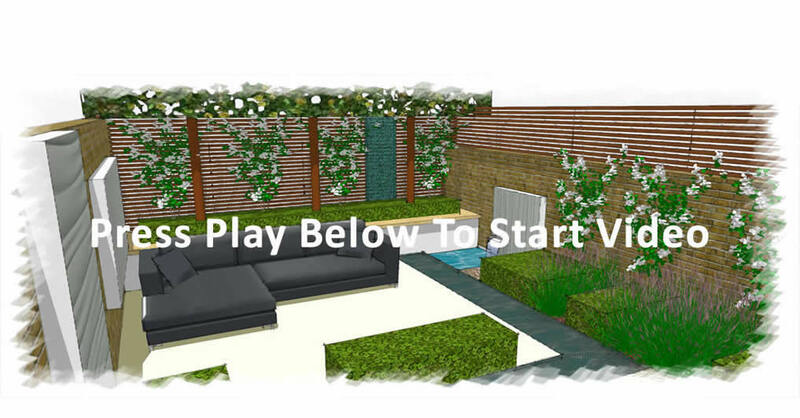 To create a contemporary style garden for grown-ups, as the garden was no longer used as a play area for children. To have a focal point of interest which would be viewed from inside the house, as well as create a way to hide the shed and utility area from view of the house. To incorporate an outdoor sitting room with a fireplace as well as introduce water by the house. Strong, structural planting to give year round interest, as well as retaining a small area of lawn. Stepping down from the terrace, the new seating area was reached by walking across paving stones set into the pool. The pool, which spanned across the width of the garden, added movement and sound close to the house. The length of the garden was broken up by creating distinct areas within the garden. The shed and utility area were hidden from the house by an evergreen hedge behind which were planted a small group of pleached trees, linking the two sides of the garden together. Having created a strong divide to the garden, its length was emphasized once more by the placing of an oversize, sculptural pot at its furthest point, which created the focal point the clients had requested. A central seating area with feature fireplace took advantage of the last of the summer evening sun. Criss-crossing paths of timber and gravel created interest at ground level. Beds filled with plants chosen for their long flowering periods or winter interest were interspersed with low, clipped evergreen hedging. A couple with teenage children. A multi levelled site, the main garden being sited below the house and street level. The lowest level has a public footpath separating it from the local primary school. 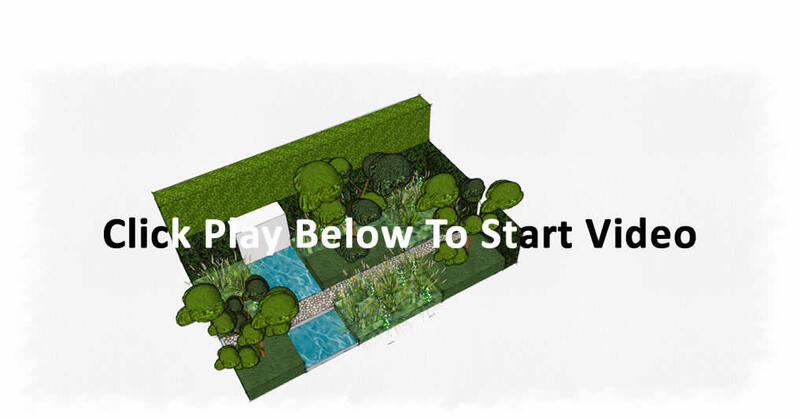 To unify the garden, make a positive feature of its multiple levels and provides privacy. To create various seating areas for different times of the day. The decking area at house level was enlarged to create a generous dining terrace with staircases at two points linking to the lower levels. Shade tolerant planting and a covered pergola lead to a shaded seating area surrounded by scented plants. A path and lawn lead to the evening terrace. The areas are all linked by rhythmic planting and repeated use of hard landscaping materials to create a unified, flowing design. 2.5 acres on a gently sloping site. A public footpath runs parallel to the longest boundary, open views to neighbours gardens on the others. To create additional terraces, relaxation, dining and entertainment areas for friends and family. Lay a path to the tennis court and large swimming lake. 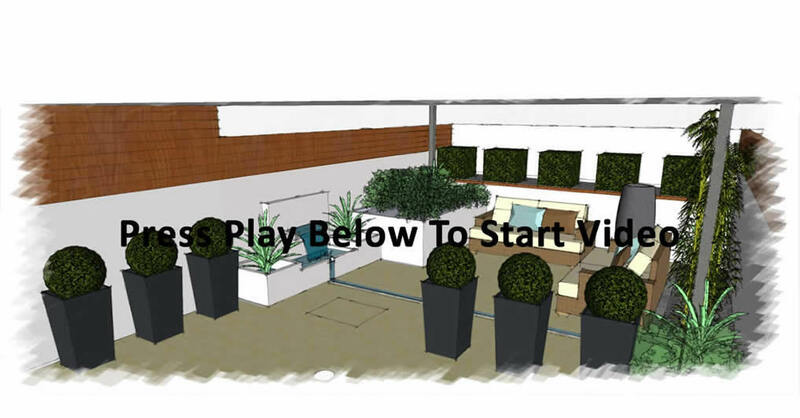 Site and build a balcony overlooking the garden and conservatory. Design solutions for the lack of privacy and to clearly direct visitors to the correct entrance to the house. A breakfast terrace was built outside the kitchen area and another was extended to provide the different entertaining zones requested. A small water feature on the terrace helps to disguise traffic noise. Views were created by the inclusion of a small lake and woodland area which also shields the tennis court from the house. A serpentine path leads to the tennis court., while the lake mirrors the sky and generously planted grasses brining movement to a static area. Large steps now lead to a covered main entrance to give this focus. The driveway was emphasised by lining it with pleached hornbeams and evergreen shrubs to help increase the client’s privacy.